Ken Jones has sent us pictures of the fleet of new ADL deckers that have taken to the roads in Birmingham. 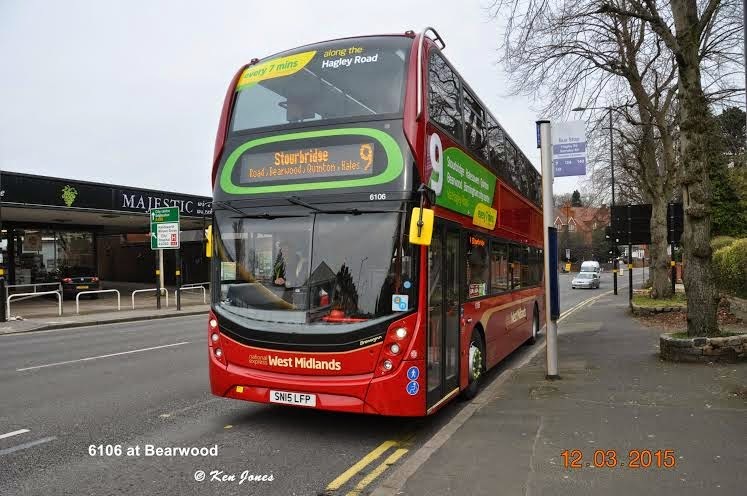 National Express West Midlands have invested £4m in the new Enviro 400 MMC's for route 9 as part of their £34m 2015 bus order for the Birmingham area. During March a total of 22 new double decker vehicles will arrive at the Pensnett depot, with 15 vehicles branded for route 9. 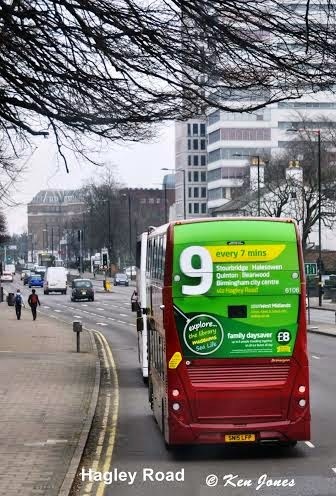 The other 7 buses will be used to support the 9 and other main routes connecting the Black Country to Birmingham via the Hagley Road. 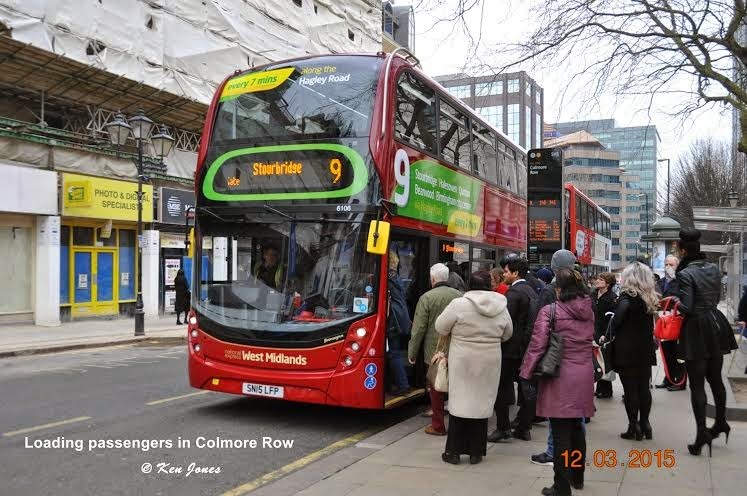 National Express operate bus services within three areas namely the West Midlands, Coventry and Dundee. 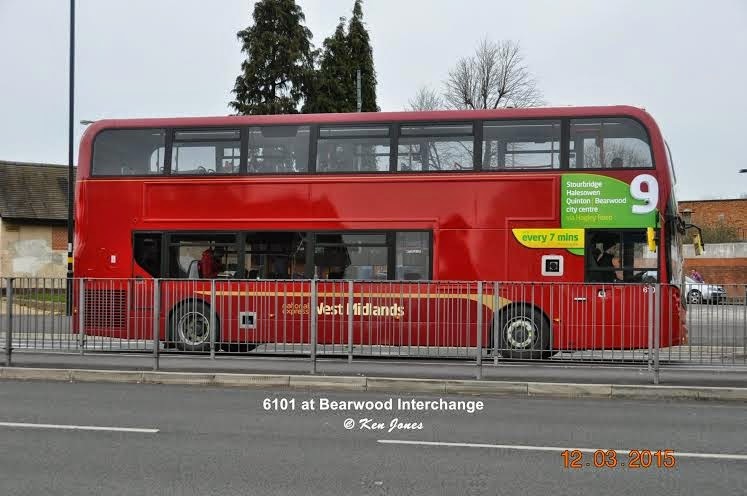 National Express West Midlands is the largest bus operator in the respective area and one of the largest in the UK carrying over 1 million passengers every day. As well as bus services, National Express West Midlands also operates The Metro link between Wolverhampton and Birmingham. It's good to see such continuing investment by Nat Ex West Midlands, with more vehicles to come. There seems to be no identifying badges or lettering on the buses to inform who made them or what models they are. The fact that the buses all have an Edinburgh SN registration gives the game away as many ADL vehicles are now registered in Falkirk, home of ADL. The new system is a backward step for those interested in buses, as local registrations were always a feature of identification. Incidently MMC stands for major model change! From modern diesel to ancient steam. The North Norfolk Railway held its Spring Steam Gala over the weekend 6-8th March. Engines and rolling stock from its own fleet were used plus one or two visiting steam locomotives including 62712 'Morayshire' and 'Wissington'.